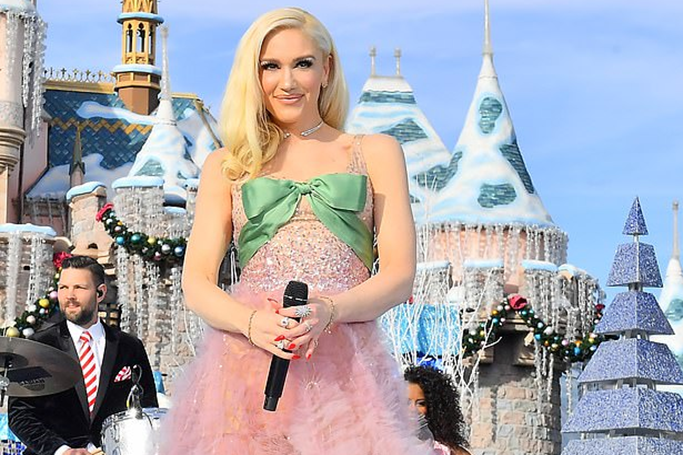 It’s the season for sparkly dresses and Christmas fairy tales –as Gwen Stefani knows how to rock both! The singer wore a glittering gown by Lebanese designer Reem Acra, for a festive-themed performance at Disneyland, California. The blush-pink dress featured a gift-style green bow, an embellished bodice and a sheer tulle skirt that screamed Disney Princess –after all, she was performing in front of a magical castle. Gwen Stefani shone in the adorned gown from the label’s Pre-Fall 2018 Collection. Middle Eastern couturier, Reem Acra, is renowned for ethereal designs and sequin-embellished masterpieces, as this dress certainly fitted the fairy tale brief. No stranger to an Arab labelReem Acra, and also wowed in a fringed Yousef Aljasmi number in 2017. You can always count on Stefani to opt for a show-stopping outfit, as this particular gown exuded modern magic with its festive frills and fairy tale style. But, before the dress enchants you, beware of the AED 60,000 price tag!